On this, the third Sunday of Advent or Gaudete Sunday, we sense a definite mood change. The austerity of what can be a sombre, though hope-filled penitential season, is replaced by a shift of emphasis. We see a burst of colour appearing at the Mass today as rose-coloured vestments replace the violet and we are enjoined at the Introit to: Rejoice in the Lord and again I say rejoice or Gaudete in Domino semper, hence Gaudete Sunday. But why this shift in emphasis? We are edging that bit nearer to celebrating the coming of Our Lord at Christmas, that is undeniably true, but also because St John the Baptist is proclaiming the Coming of our Saviour. ‘I baptise you with water, but someone is coming, someone who is more powerful than I am, and I am not fit to undo the strap of his sandals; he will baptise you with the Holy Spirit.’ John’s proclamation is sure and certain, filled with hope and, one must assume, wholly joyful. Can we also feel such joy welling up from the depths of our hearts as we hear this news? Today’s liturgy summons us to embrace Joy! In fact, it is framed as a commandment in the second reading. St Paul tells the Philippians, “I want you to be happy, always happy in the Lord; I repeat, what I want is your happiness.” But I guess for many of us, the message just doesn’t seem to make any sense, especially when we feel no excitement or exhilaration in our lives. A lot of us believe that joy or happiness is equivalent to pleasure or having fun or getting what’s on our wish-list. After last week’s reminder that Advent is a time to apply the brakes to immediate gratification, deny ourselves of some of the pleasures of this festive season, mute our carols and dampen our excitement, it’s hard to imagine how Advent can be a season of joy. The solemnity of Advent seems to have taken all the fun out of Christmas. Our search for pleasure and fun, in fact, has often distracted us from the authentic pursuit of Christian joy. We have become a distracted people. Here’s the root of the problem: we believe that pleasure and fun leads to joy. What we fail to recognise is that one of the roots of the desire for pleasure is the feeling of emptiness and the pain of boredom following from it. In our culture we are conditioned to consume what we want, not what we need. Much of our culture and economy is based on gratifying desires. This is why the endless pursuit of happiness doesn’t necessarily lead to joy. Excess prevents us from being thankful with what we have. We become insatiable. In fact, the cycle of manufacturing and gratifying desire becomes an endless pursuit of happiness. The endless pursuit of happiness often leads to financial burdens that create fear and anxiety. We are sold products that are supposed to eliminate our fear and worry. But rather than eliminate fear and anxiety, this endless pursuit merely puts additional pressure on the desire for gratification. The painful truth is that life is often not the fairytale we expect. So what do we do when happiness eludes us? Where do we go when we have run out of avenues to manufacture and pursue pleasure and fun – when the effects of drugs, alcohol and sexual debauchery wears out, when the roller coaster ride ends, when the party is over? The answer is simple - We choose joy. But here lies the difficulty, how do we distinguish true joy from mere pleasure and fun? Unlike pleasure and fun which are often selfish and self-centered, joy is always directed outward. Inner joy leads to kindness, generosity, and love. St Paul wrote to his friends at Philippian epistle of joy, in spite of the fact that the Philippians were actually under a lot of financial pressure. In 2 Corinthians, Paul praises the Philippians church: “out of their severe trial, their overflowing joy and their extreme poverty welled up in rich generosity”. Most people believe that we derive pleasure and happiness from receiving. That is why most kids (and even some adults) think that they can find joy under a Christmas tree. But the wellspring of joy is actually giving. We see generosity at the heart of the Baptist’s preaching in today’s gospel. Three groups of people ask John the Baptist what must they do. John exhorts them to share with those who are needy, be just and fair in our dealings; to refrain from intimidation and extortion to acquire what we want, and finally, to be satisfied with what we have. In other words, the secret of authentic joy comes in being generous, in self-giving and thinking of the other, whereas we lose joy when we are selfish or greedy and think only of our own needs and wants. It is hard to be happy and joyful when you are greedy and ambitious. When you are never satisfied with what you have, when you are always afraid of losing what you have, when you are jealous of other’s prosperity – it’s really hard to be happy. It is only the man who has discovered God as fulfilling his every heart’s desire, who will be happy. Only God can fill the emptiness in our hearts. Only God can satisfy our deepest longings. Only He can be the source of everlasting joy. It is not found in my hobbies, my relationships, my work, food or entertainment. Nothing is wrong with these, in fact I am glad I can find happiness in so many things; it is a great gift. But here is the irony, this kind of joy doesn’t last. I get so busy manufacturing my own happiness that I fail to desire lasting Joy that comes only from God. Joy comes from knowing that we are redeemed. 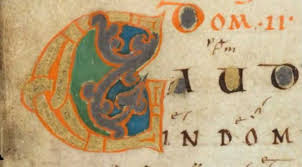 As the first reading reminds us, it is the joy of knowing that God has removed the judgment hanging over our heads; it is the joy of knowing that our Lord, our Mighty Saviour is in our midst and that “He will exult with joy over you, he will renew you by his love; he will dance with shouts of joy for you as on a day of festival.” That joy is not found under the Christmas tree. That joy is not found in all the new expensive toys and gadgets and branded clothing we thirst for. That joy is not found in a new job with better pay and prospects. That joy is not in someone that you’ve just met, even though you’re married. That joy is found only at the foot of the cross. Only when we come to recognise the love of God as displayed on the cross - the Son of God who has died for our sins, only then can we experience joy, lasting joy, real joy, the joy of a forgiven sinner, one who has been redeemed from sin and death. The joy of knowing that my salvation has been won by Christ on the cross and that He will return to complete what He has already begun. If our lack of joy is a consequence of our separation from God, then the reason for our joy is being reunited with Him.